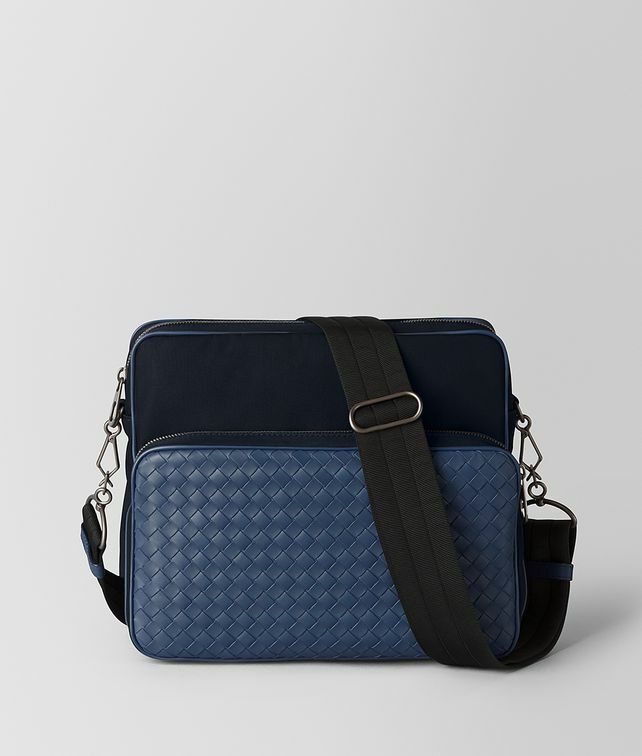 This sporty messenger bag is crafted in hi-tech canvas with intrecciato matt calf leather detailing. Featuring two cotton-lined compartments and zipped pockets on the front and back. Finished with an adjustable nylon strap.